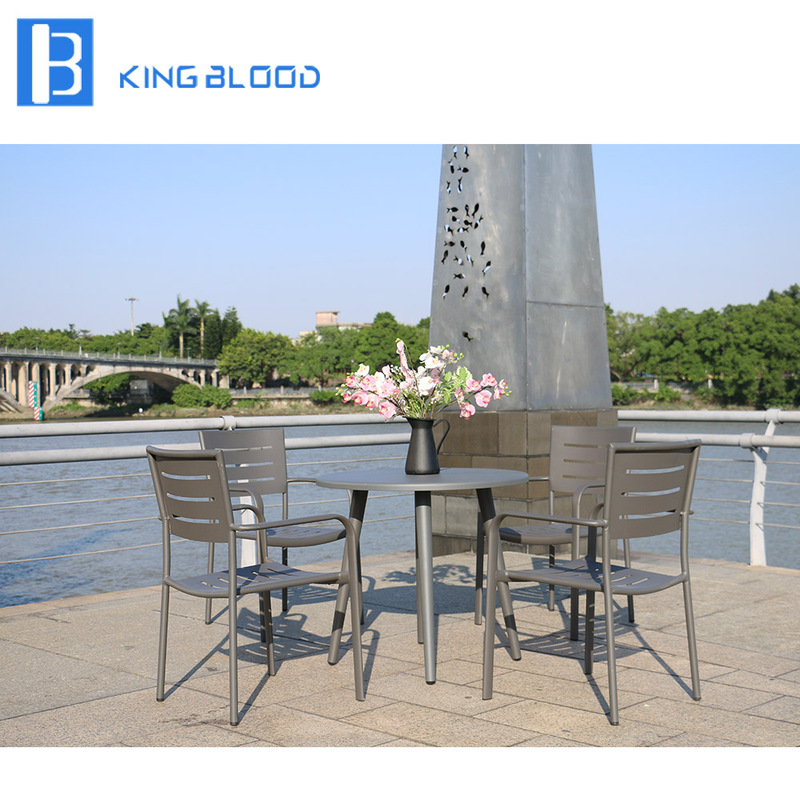 Enjoy your outdoor living with this 3 piece set of bistro chairs and matching table! 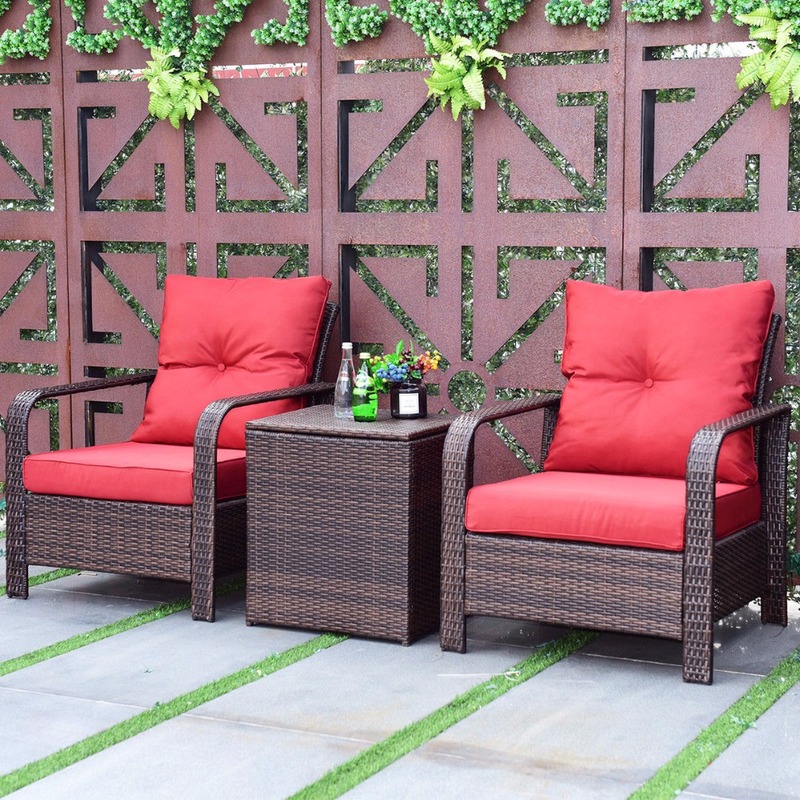 With all-weather resin wicker woven over durable iron frames, each piece in this set is designed to withstand frequent use and harsh elements. 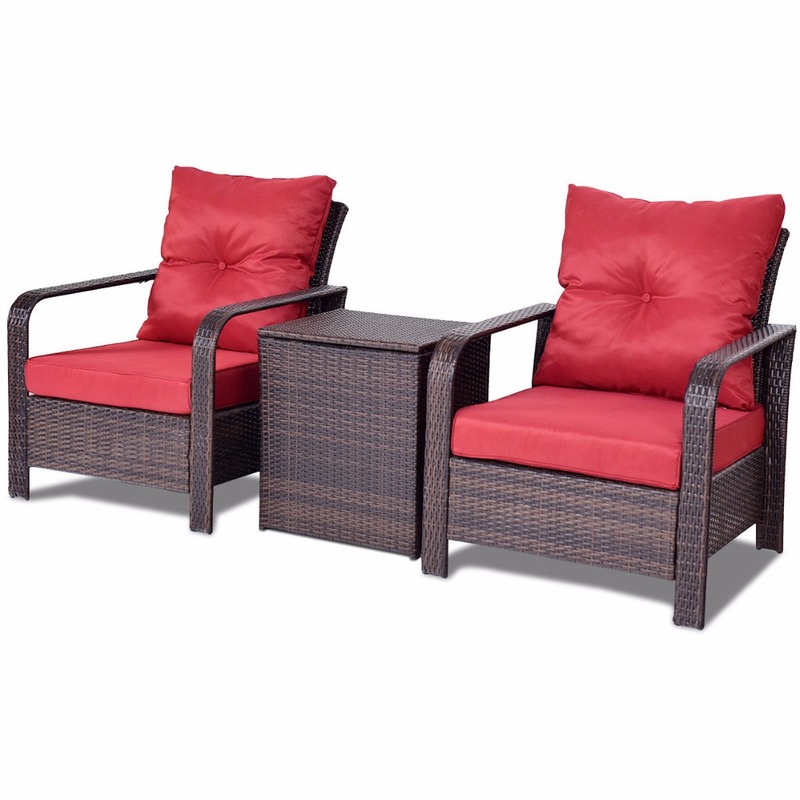 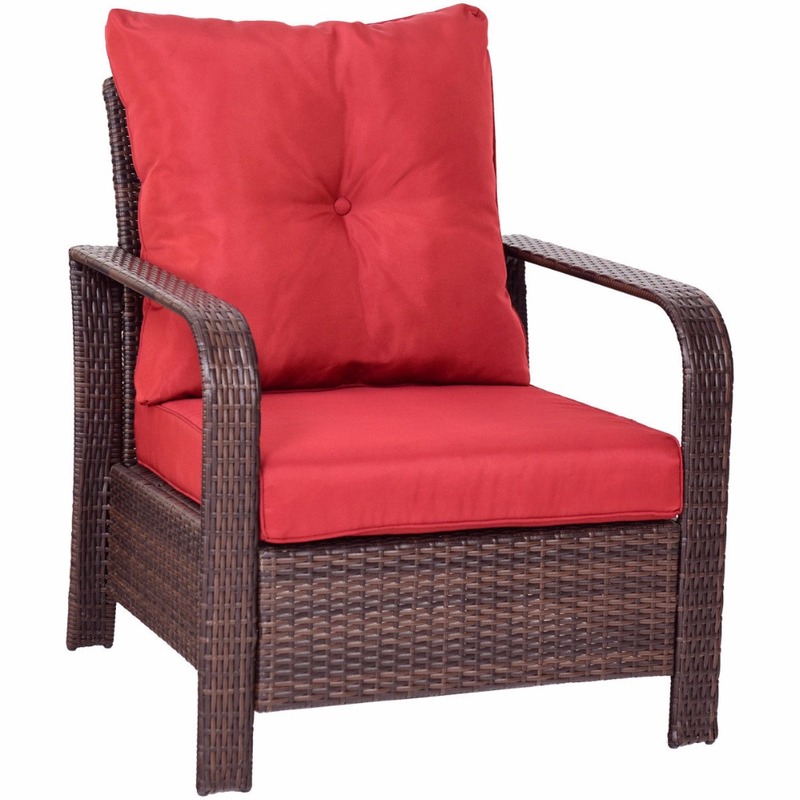 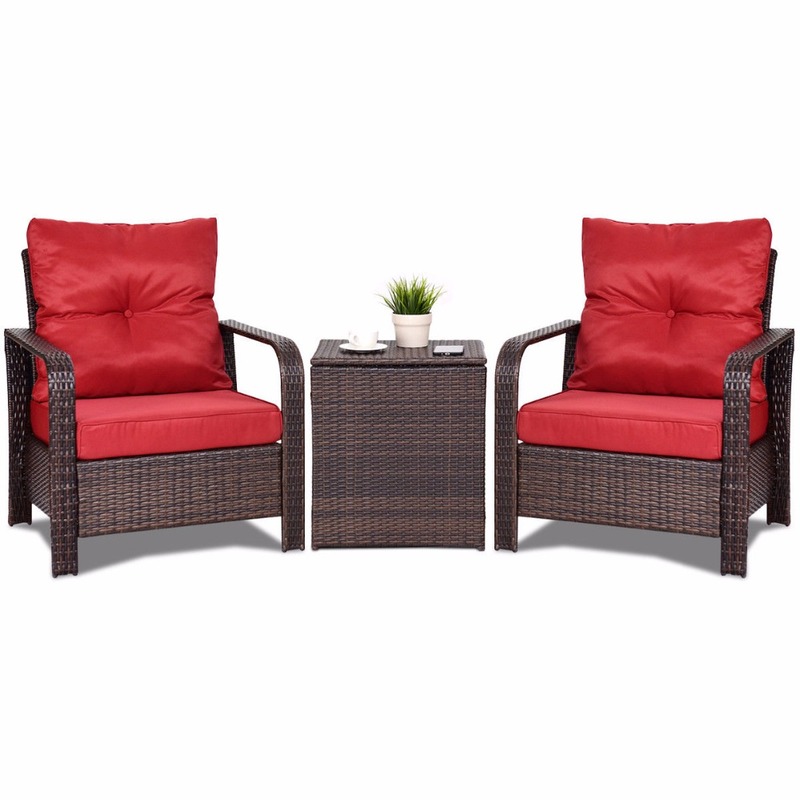 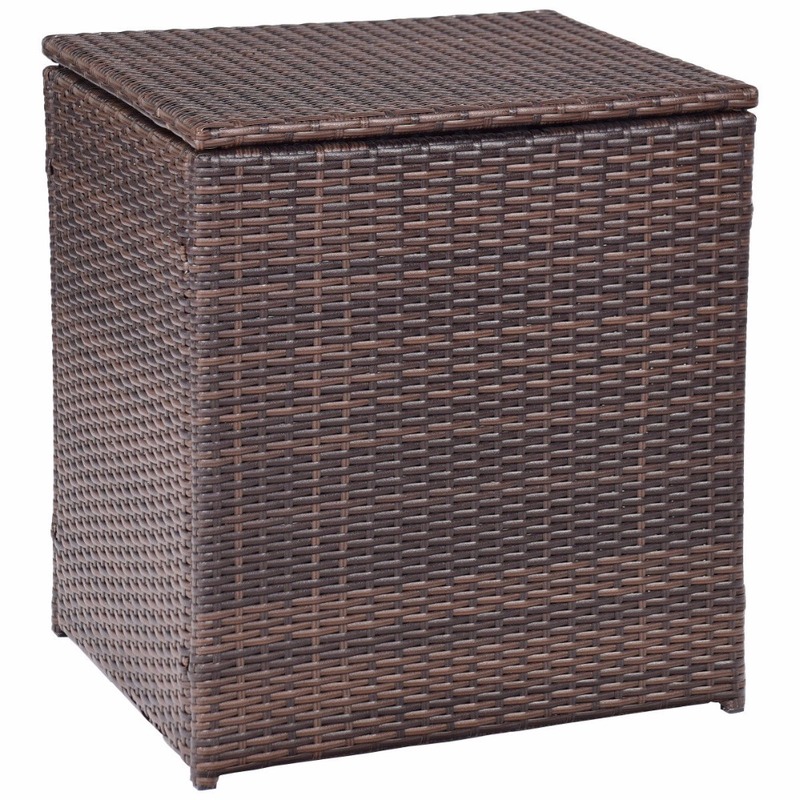 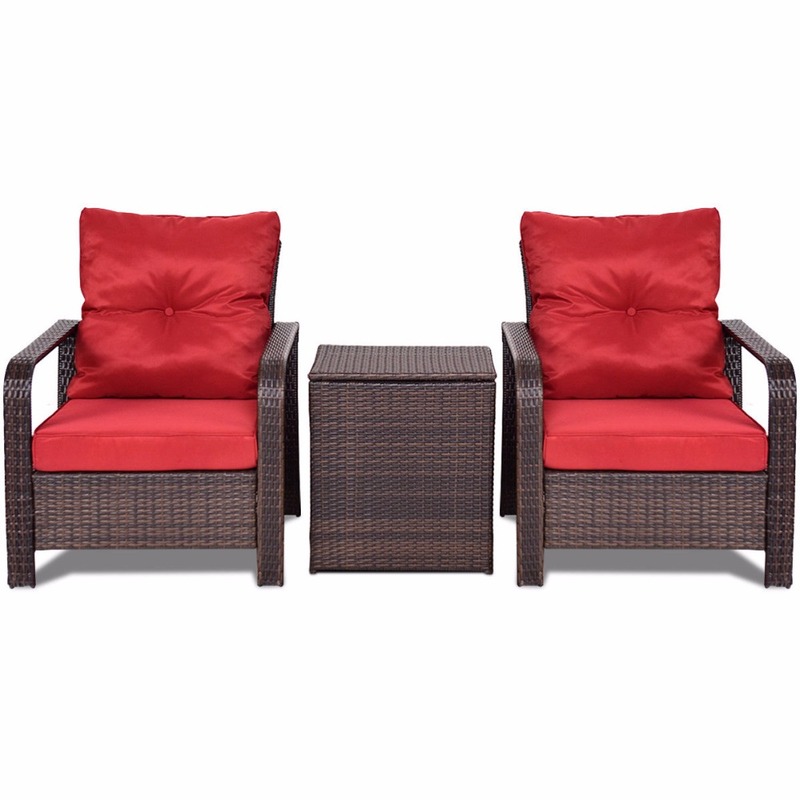 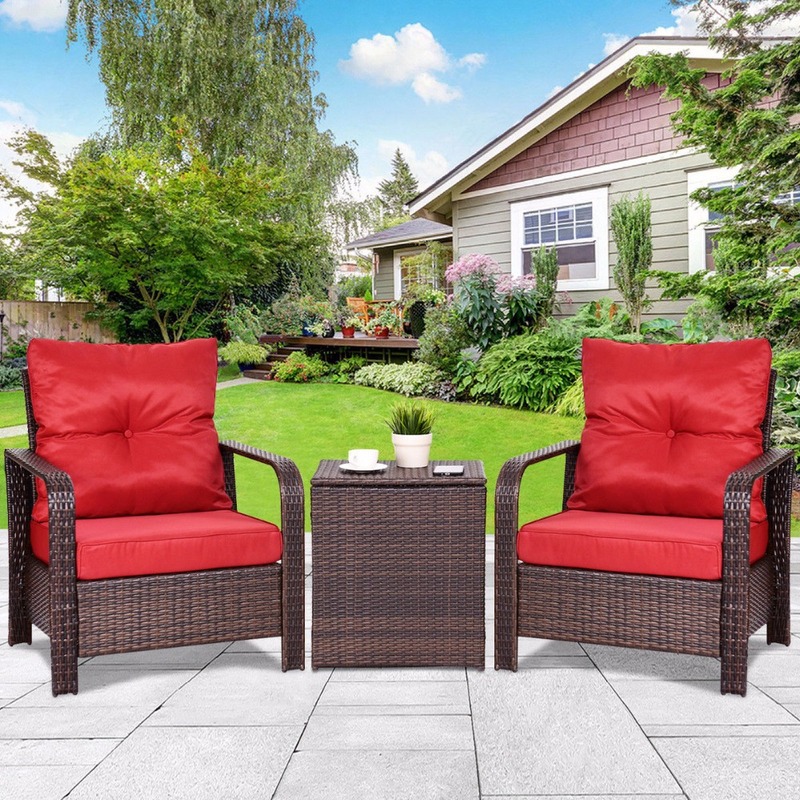 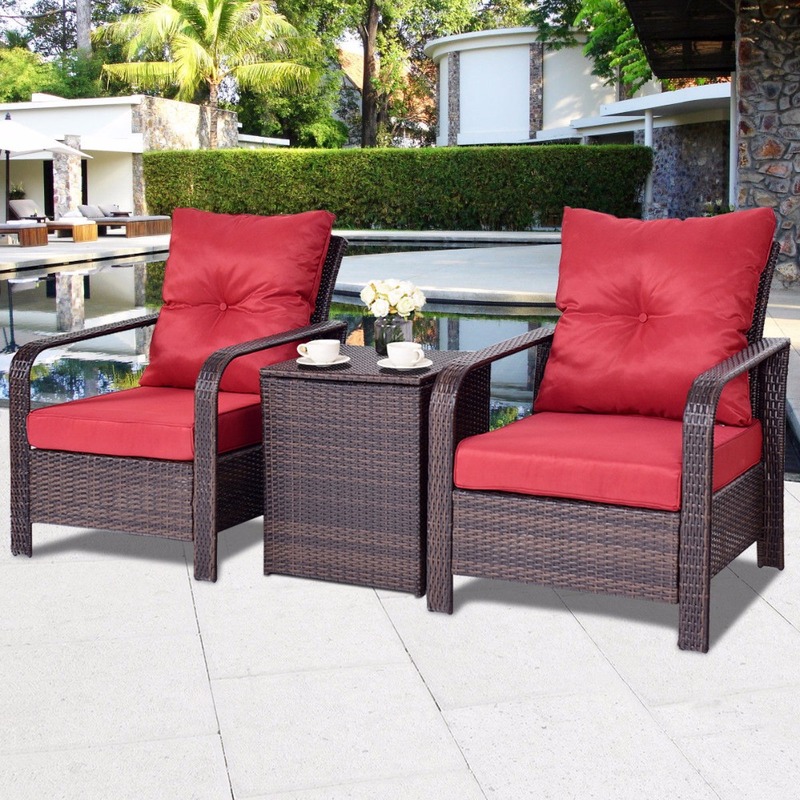 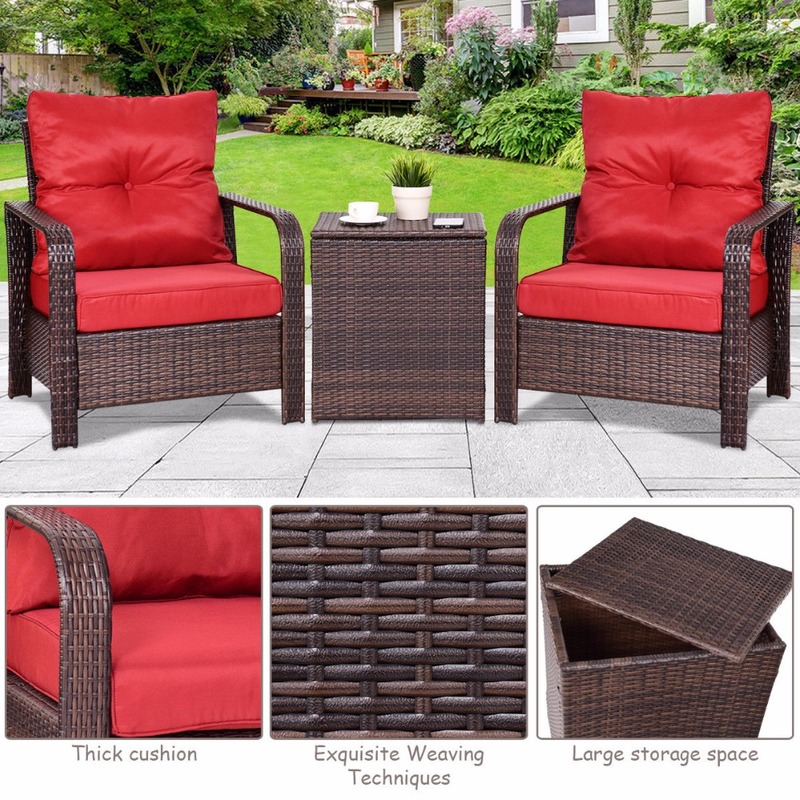 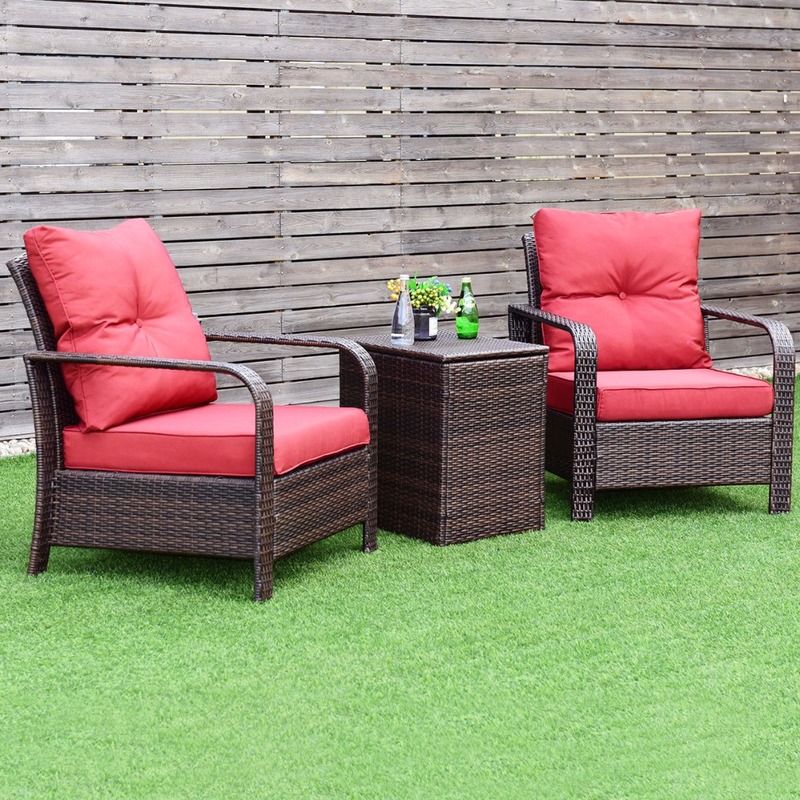 This lasting wicker finishes to satisfy your unique taste and complement your decor, this comfortable, generously proportioned set includes weather-resistant outdoor seat and back cushions. 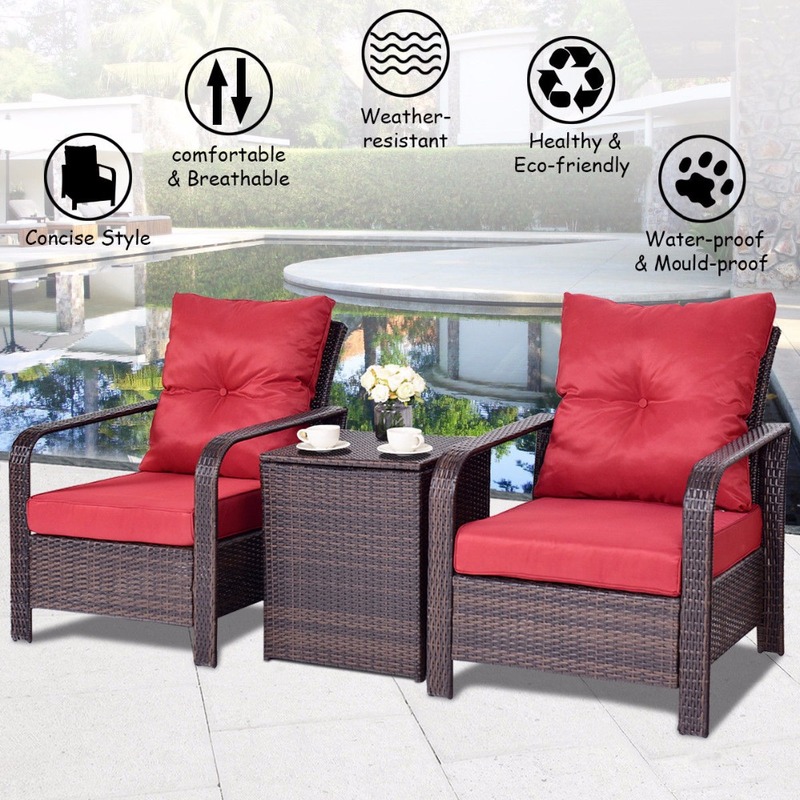 It is your best choice to entertain the guests. 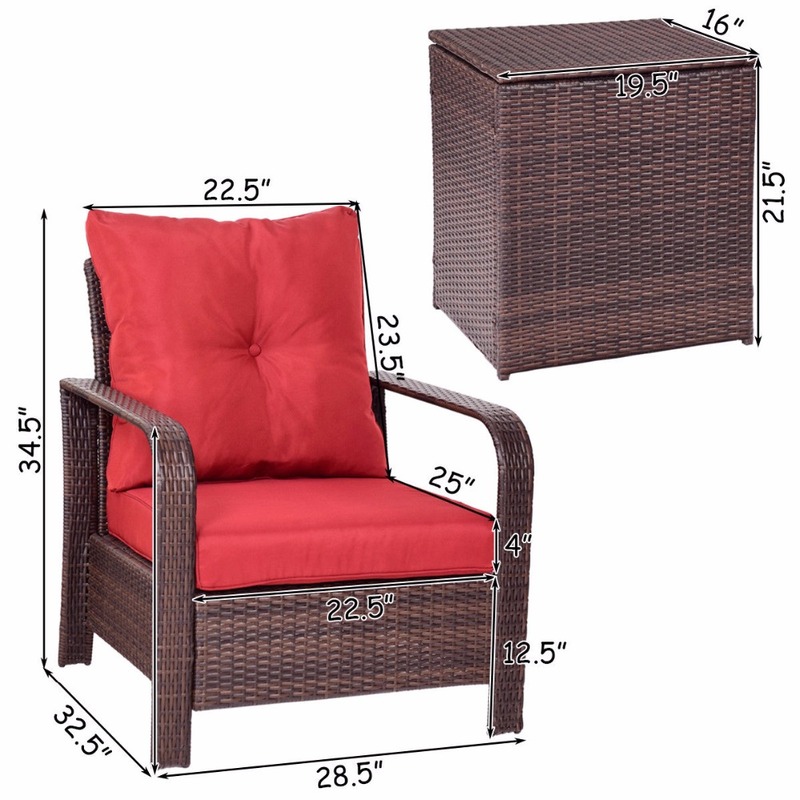 Don\'t hesitate to buy one!